Increase Your Childs Self Esteem By 37%. Get A Family Portrait. Most of us try to do as much as we can to boost the self esteem of our children. We tell them the did well as often as we can, exclaim "awesome!" when the breakfast they made for us arrives, even when it's far from awesome. And we do it because we realize how important this type of conditioning is in early life. It's absolutely critical. Well, here's a little know way to make your child feel more secure, one that might really surprise you - a family portrait. Studies show that seeing themselves as part of afamily unit, creates a sense of belonging for our children. They feel part of the group, and not alone. A study from Tulane University detailed a 37% increase in self esteem when children were involved in family portraits, and images of themselves. Walking past a portrait hanging in the family home makes a significant impact in the mind of a child, and when you think about it, it makes a lot of sense. Of course you would feel like you belong. Of course you would feel a little special, to be up there in full view. Remember, everything seems so much bigger to a child. I'm in the business of portrait photography, and I want a long line of people at my door from a business point of view, that's pretty obvious. But that aside, I also want to make a difference in the lives of those that I work with, there's a tremendous amount of joy that comes from seeing a wall portrait hanging in a clients home. It's much more than business. 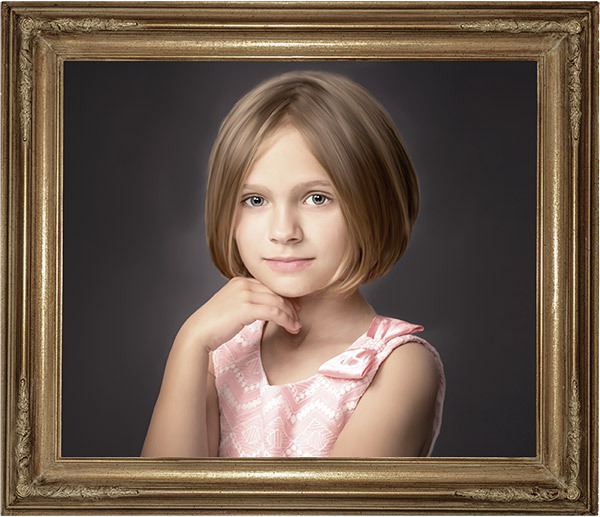 So if you want to increase your child's self esteem arrange those family portraits that you have been putting off, hang the work on your walls, and the rest will follow.